Where do organization values come from? Do you just pick them from the air or copy them from a successful company? Corporate values are largely influenced by the values of its founders and leaders. The employees, the customers, the industry and the country are given due consideration. The award-winning book Paragons by Alfredo A.Yuson and published by the Financial Exe­cutives Institute of the Philip­pines (Finex) featured 23 top executives of leading academic and business organizations in the country on their views on corporate ethics. From their insights you could see where they are coming from and how they are leading good exam­ples of their organizational values. It is under­standable why their respective com­panies are success­ful and enduring. Jaime Augusto Zobel de Ayala II, Ayala Corp.: Much of the core foundation of ethics goes back to your own upbringing. Your back­ground, reputation, educational structure, beliefs and the way you behaved in the past–gives you a good barometer of the way you’ll behave. However, these do get reinforced later on by the institutions you become a part of. It can get broken down, disseminated or strengthened, depending on the kinds of institutions you become associated with–in your work, in your schooling. It’s a kind of building block process that takes place. There is a value structure that we try to live by in Ayala Corp. Rather than do a top-down approach on this, we did a bottom-up, and we took all the employees and put a structure in place for them to be able to define it. Essentially it finally distilled to five core values that we were very comfortable with, as a definition of what was important to Ayala Corp.
Pedro Roxas, Central Azucarera Don Pedro: From the days of my father and my uncles, the company had very strong core beliefs, which were then passed on. And as I furthered my own career, the more I realized that if you want to sustain your business over the long-term, you have to maintain relatively high standards of corporate behavior. Ric Pascua, Fort Bonifacio Deve­lop­ment Corp.: I am the product of many influences. The first was how my parents lived; to some extent what they taught me; but to a large extent how they showed me. Se­cond, the people at school, the tea­chers. The most important, and las­ting, is my religion, my faith. Guillermo D. Luchangco, Inves­tment and Capital Corp.: My personal view on corporate ethics is that every man must have his specific standards and a point beyond which he is not willing to go further. I try to live up to that even to the extent of foregoing income that I could have gotten had I violated my standards. As the founder and the top executive, the company’s view corresponds to my personal mindset. I set the tone for the company, so as a rule, the people in our organization respect and follow the pre-set guidelines. Vicente Ayllon, Insular Life: At age 23, I was a working student. I had 40 laborers under me. I got to have an inside view on how the less fortunate live, what were their hardships and their problems. I learned how to get along with them, and learned what loyalty was all about. I learned about fairness in work. You have to be loyal to your people first before they become loyal to you. You do that by protecting them, taking care of them, and being fair to them. Corazon S. de la Paz, Joaquin Cunanan & Co.: We are professio­nals, and a profession, by definition, includes adherence to a certain body of rules, which includes our code of ethics. That is how we view our relationship with clients, peers, the government and with the investing public. So a profession is really a body that has certain rules for advancement of its members in the professional sense, as well as on how you conduct yourself in all of your relationships with your publics. Tony Tan Caktiong, Jollibee Foods Corp.: Since we consider every citizen in the communities where we operate as customers, we always consider the ethical implications of all our actions, with the end purpose of providing our customers total satisfaction. Roberto M. Lavina, The Phinma Group: One of our companies is a large insurance brokerage outfit. We once had a chance to do business with the largest customs bonding broker. I learned that our general manager was being enticed by this marketing guy to push for a negotiated arrangement. I felt that I had to ask this question, “Is it something you can tell your children about, this arrangement you are making?” It would have involved some cash moving into the hands of public servants in return for which we would get the exclusive arrangement. We turned it down. Joselito D.Y. Campos Jr., Unilab: The United Creed actually defines a set of truly Filipino values–unity and cooperation or “Bayanihan”; the welfare of the people–consumers and customers–above all; integrity and truth and honesty in all relationships; the human asset as the greatest asset; and the belief in Divine Providence. Fr. 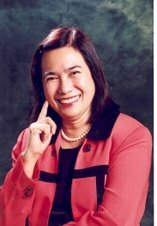 Tamerlane R. Lana, O.P., University of Santo Tomas: In the case of an educational institution, the task of the people involved, like the faculty members and the staff, is to form young people to eventually become professionals, so that they prove instrumental in the trans­formation of our society. These people must then be part of the ethical values that the university espouses and teaches. As the entrepreneur and founder of your own company, where are you coming from? If you are not clear about it yet, now is a great time for you to figure out your path in your business life by reinforcing your values. This value system will guide and help you lead your business to success. World Peace: Our reader Joseph Do has this to say: For me world peace starts in ourselves. We must be rich in virtues; particularly RESPECT to oneself and others, and everything else will follow. Please include me in your prayers for I am currently taking my CPA review. ASTD Global Network–Panama invites organization leaders, especially organization develop­ment and human resources profes­sionals to their First International Conference and Exposition on September 17-19, 2003, at the Hotel Rianda Continental, Panama City, Panama. Author and manage­ment guru Jack Philips will keynote the conference and will talk about “leading change.” For details and brochure, please call Grace (715-9332 or 714-4533).